I have said it before and I will continue to say it. Christina Aguilera retired from making any music or performing after the 'Bionic' fiasco unless she gets paid for it. With that being said Christina is getting paid for being in a new soundtrack from the girl film 'Served Like A Girl' The documentary tells the life of women veterans and what they go through on and off the field. Christina has a song on there titled 'America' which was co written by Linda Perry. 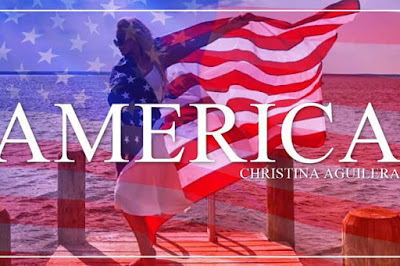 Christina sings about how this is the land of freedom and we should all hold a piece of it. Christina doesn't holler or wale as much on this song but her trade mark overhanging and walling is there in some notes. “People come and go through these hotel rooms. Looking for a chance to make dreams come true in America. There’s a great big future in this promised land. Everyone deserves to hold it in their hands, in America."